Distance: 21 kilometers (13.04 miles) with perhaps 250 meters (800 feet) of elevation gain. I'm guessing on that elevation gain, since I didn't buy the Brierley guide for the path to Finisterre. All I have is the free print-out from the Galicia tourist office in Santiago. 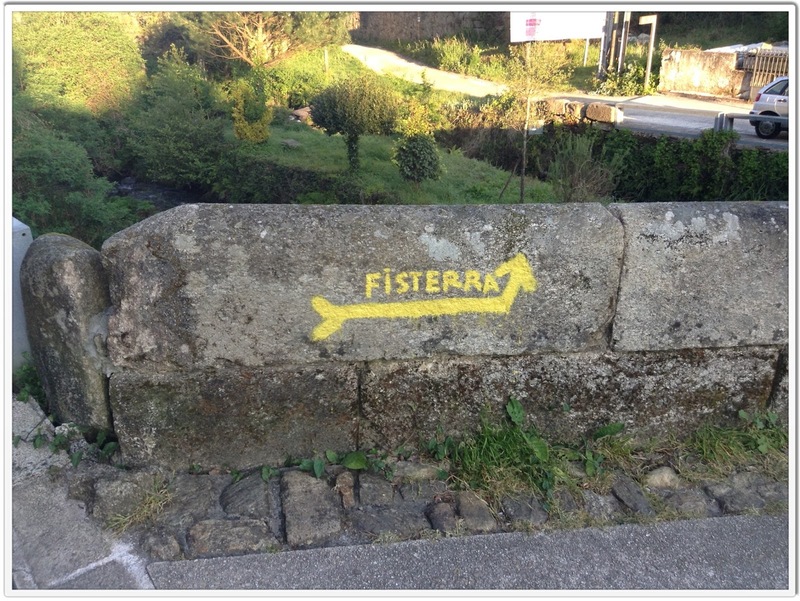 The print-out has a list of general landmarks with kilometer flagpoints from Santiago to Finisterre and Muxia. That, along with those ever-present yellow arrows, has thus far proved sufficient. Sage spotted two familiar faces while I was taking this picture. Becca and Rachael from England were standing by the Parador, talking to two other pilgrims. We said hello to them and wished them a safe journey home before we continued out of the city. Yellow arrows and Camino shells showed the way, just as they had from SJPP to Santiago. 'Twas a difficult day in terms of temperature. The sun was out and the mercury climbed...highs were in the the 70s...thankfully, the route from Santiago to Negreira was mostly shaded. We went back into the woods, into Barca, then Negreira. Negreira's a decent-sized town with modern buildings. We met a nice man named Craig at the outdoor display map right at the entrance...he knew me from our blog and he introduced himself. He's a kind fellow and I hope we see more of him during the next few days. Normally, we choose an albergue or hotel at the far side of town so we can minimize the walking we have to do the next day. 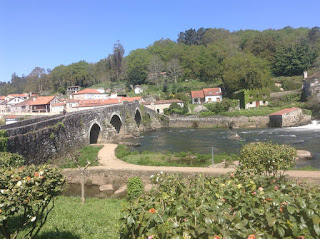 Today, however, the girls wanted to stay at the private albergue Lua. We'd seen multi-colored advertisements for this albergue since a few kilometers outside of Santiago, and I guess the bright colors made an impression on the minds of my daughters. Lua consists of a large room with 36 - 40 beds (in bunks), three bathrooms with showers, a common area with a vending machine, and a small room with a washer and dryer (you can also hand wash your things and hang them out of the window to dry). Cost is eight Euros a bed. The hospitaleros are kind and helpful, and there are multiple bars/restaurants and a supermercado just down the street. So far, at 6:00, there are thirteen other peregrinos sharing this room. Negreira has three or four other albergues plus a few hotels...there are a lot more peregrinos on the way to Finisterre than I was expecting. Tomorrow's going to be tough...we have to walk 32 or 33 kilometers (20 miles)..there's a lack of accommodations between two specific towns so we can't make the day as short as we'd like. Also, the temperatures are rising and it's difficult to hike in (what we consider) heat. The good news is that after tomorrow, we've only two fairly short (10 mile) days to go until we reach the ocean. Misc. comments - everything is more expensive between Santiago and the ocean (thus far). The pilgrim's menu costs fourteen Euros (instead of ten) here in Negreira, and the waiter only brought me a glass of wine instead of a bottle (!). This private albergue, which is cute but is basically just a large room attached to a smaller room, is eight Euros a bed. Little things at the bar (juice, trail mix, etc) are pricier. Boo. I hope this trend doesn't continue. I'm worried about tomorrow; it may be our toughest day yet. 20 miles in what we consider heat. My right toe will definitely need medical attention once we return to the States. The entire bone aches, all the way up to the center of the foot. At times, it's agonizing. I've a feeling it's going to greatly disapprove of our long day tomorrow. The girls are doing well. They're playing cards on top bunk of a bunk right now. I'm going to search the web to see if there's a place to stay somewhere around the 45 kilometer (to Fisterre) mark. 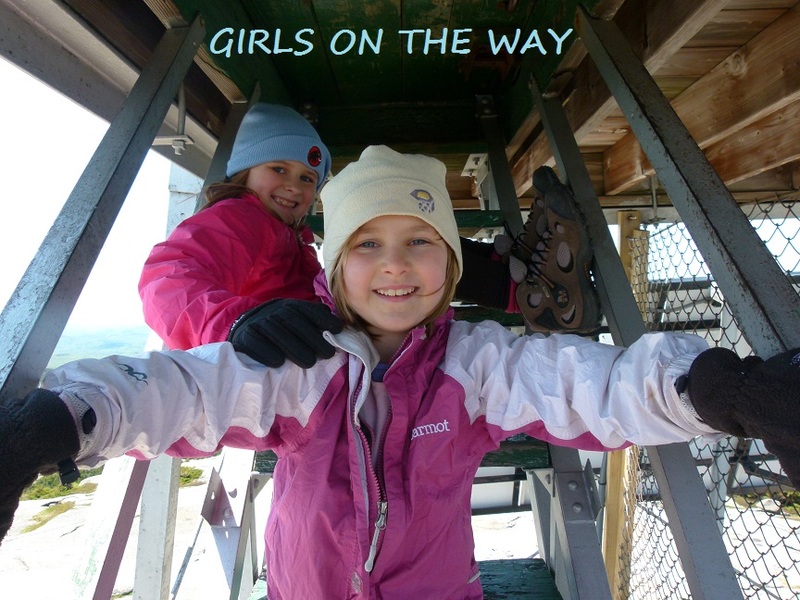 The girls are capable of cranking out a 20 mile day if they have to, but I would prefer to keep our remaining days to 12-15 miles each if at all possible. 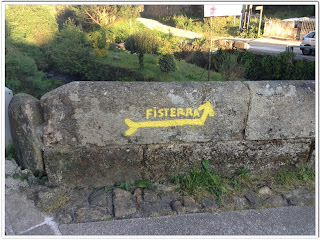 Trish, have you seen this list of albergues from Santiago to Fisterra and Muxia? Russell, yes, but thank you. There's still a big 'ole gap between towns. We'll have to crank out a 30 km day either today or tomorrow..will probably make it tomorrow so we can get it over with. Trish, next weekend will be so much cooler than thusday. Perhaps you should have a short jouney tomorrow and the logest later. 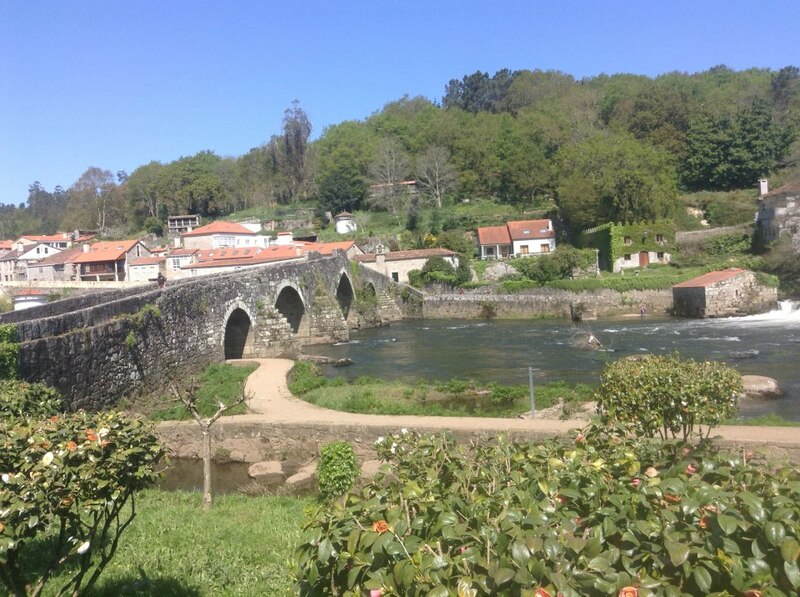 You could choose to rest tomorrow at Vilaserio (12.7km) or Santa Mariña ( 20,8 km). Tomorrow´s journey can be hard due the constant "up and down" of the road into de hills. Take care of your toe. If you need some help let me know. Remember, you girls, have some friends in Spain.